Become An Engineer With Your GCE O/L Qualification! 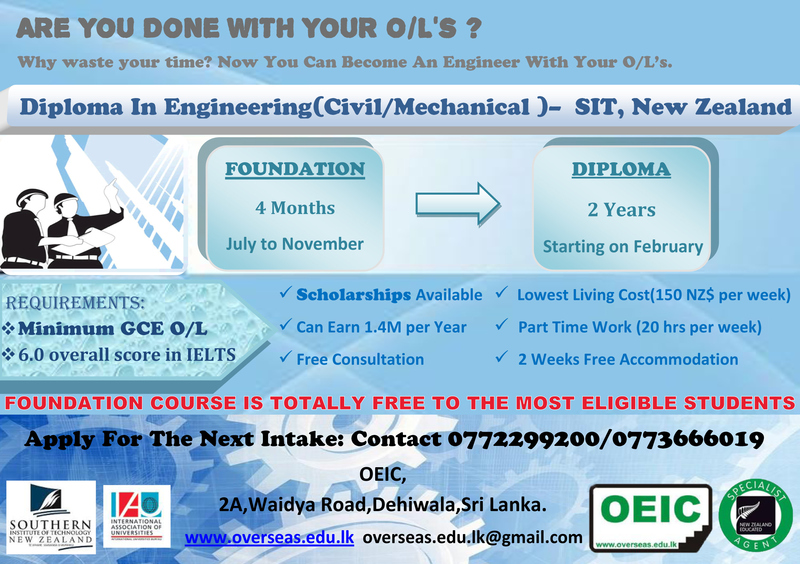 Have you done O/L's and have IELTS 6.0?Then here is a great opportunity for you! Please contact 077229920 for more information.